A primary reason for owners purchasing property within Zimbali is the safety and security offered by the resort. Not only does the estate have a full-time security manager – Albert Rode – who controls diplomatic-level security with unobtrusive systems and checkpoints, but he is also supported by a well-trained guarding and technical team. This is a comprehensive, multi-layered perimeter-to-home system that begins with the electrified security fence, proceeds through access-controlled guarded gates and continues into the estate with a multitude of high-tech thermal and optical cameras. 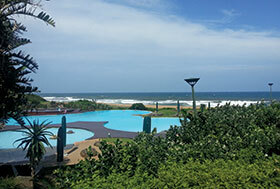 “We have a holistic approach to security at Zimbali Coastal Resort. We have embraced the use of technology which enables our team to monitor who is on the estate at any given time. There has been a drastic change in our approach to securing Zimbali and we have had to evolve with our current crime trends and monitor the threats that gated estates are constantly face with,” says Rode. The estate has upgraded its perimeter fencing by installing outriggers (V-brackets) that assist the team in fulfilling the ‘detect, deter and delay’ functions as well as in enhancing the mitigation of the over-under-through approach to intrusion. “This fence is not just about aesthetics, but rather about providing an impenetrable barrier. 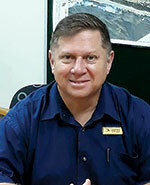 The technology on our gates and booms has also evolved and we now use scanning devices at every entrance to the estate where all valid driver’s licences and motor vehicle licences have to be electronically scanned,” says Rode. Before entering the estate, visitors must use a pre-registered one-time code sent to them from the resident’s phone. The estate also has many surveillance cameras, positioned in strategic locations. Rode points out that the estate undertook an upgrade programme in early 2013 and is currently in the early stages of embarking on the rollout of IP cameras to replace all existing analogue units and to supplement the existing IP cameras. The move to IP has been made possible by the installation of a fibre backbone throughout the estate. All cameras are linked back to a sophisticated onsite control room with well-trained controllers, while system checks and maintenance are conducted by the dedicated technical team comprising an experienced technical manager and technicians. Rode says that gathered intelligence plays a major role in the estate’s security. His intelligence background has provided a good grounding and he tactically uses this knowledge to gather intel from both internal and external networks, a tool he says is critical to mitigating risks. “Having knowledge on hand and looking at the things that will impact on the security of the estate and its residents is vital. “I have used my many years of being exposed to all levels of crime and experience in law enforcement and security to benefit and safeguard the estate and my residents. A security manager needs to understand the geographic layout of the area (using statistics from the local SAPS), and since the residents’ needs are my first concern, personal interaction and communication with them plays an important role in my security operation on the estate. In addition, how involved one is in the local community and how the estate gives back to the local community is another factor to consider,” says Rode. The addition of thermal cameras has resulted in Rode and his team being able to accurately monitor those people who are a possible threat to the perimeter. Before the introduction of thermal cameras, the estate employed a large complement of human resources on the 17 km fence line, but has been able to reduce this number with the feeds received from the cameras. Rode advises those estates contemplating the implementation of security plans and processes to firstly conduct a comprehensive audit of the security that is currently in place. This, he says, includes manpower and technology, and should include an assessment of whether the security service provider is rendering a high standard of service as per the contract and service level agreement.